Join us for a new 3-part series to learn how to use the new Siteimprove monitoring tool. 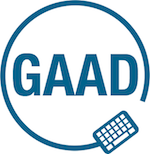 Thursday, May 17th is the seventh annual Global Accessibility Awareness Day (GAAD). The target audience for this year’s free activities is UCSF website content editors, developers and owners. Join us for a Brown Bag Presentation over the noon hour plus an afternoon of screen reader demos. Feel free to come and go during the screen reader demos, but please register at the links below. Space is limited. Please register for the event(s) you would like to attend and the Mission Bay location will be sent in your registration confirmation. The Brown Bag Presentation includes the announcement and demo of the new Siteimprove accessibility monitoring tool. This summer’s accessibility training schedule will also be announced. Marc Sutton, an experienced screen reader user familiar with evaluating UCSF sites, will give live evaluations of websites. Experience what it’s like to hear a webpage. A developer will be on hand to help troubleshoot coding issues. If you want your website included in the Screen Reader Demos, take the extra step to contact [email protected] to schedule a 30-minute time slot before they fill up - first come first served. Working on a custom website? The new Web Patterns Library provides your website development teams and contractors with the code they need to create fully brand-compliant websites that meet accessibility standards. Benefits include combining efforts of multiple development teams across UCSF, saving time and money, and providing a consistent user experience. If you are managing or overseeing a website project at UCSF, refer your design and development team to this resource. Clarification on type size (in pixels, not points as previously listed) has been made. Brand portal now has live type for all digital colors, so HEX code can be copied and pasted onto your website. See Digital Colors page. The universal hyperlink color for UCSF websites has changed from Pantone Process Blue C to #0071AD. The hyperlink color should not be used against dark backgrounds (i.e. in website footers.) See Digital Colors page of the Brand Portal for details. Additional detail provided for guidance on UCSF web banners (pixel size added for logo, logotype, menu items). Web banners are still downloadable from the brand portal, and HEX code added for recommended colors. See website standards page on the Brand Portal. Recommended number of links for web navigation is 7 (previous recommendation was 9.) Additional detail provided for recommended font size (16 pixels) and white space between menu items (66 pixels). See website standards page on the Brand Portal.